Clients in each of these markets are seeking new levels of sophistication for their spaces, and HITT can deliver these complex projects. Our HITT California team provides value for our clients whether they’re looking to embrace the latest trend in workplace interiors to promote productivity and retain top talent, or seeking to build the most efficient and impressive data center to date. Founded in March 2017 to meet the growing demand of our national clients, our California office serves Southern California to the San Francisco Bay Area. The Golden State offers a robust economy and a diverse range of clients whose project needs align with our specialties: delivering quality interior spaces for both corporate end users and professional services, and building state-of-the-art mission critical facilities. Our team’s extensive interior construction experience in these markets positions them to successfully deliver projects for legal, financial, and consulting firms up and down the California coast. At the same time, the HITT California office brings more than two decades of dedicated data center experience, making them well equipped to handle the mission critical needs of clients in Silicon Valley and the surrounding area. The HITT Way of doing business—fulfilling client goals and needs while delivering high quality, timely construction and service projects—has helped us grow into one of the most highly regarded general contractors nationally. We develop trusting relationships with our clients— learning their businesses, and delivering solutions that last. With experience ranging from new construction to tenant improvement projects, we have the expertise to serve a diverse range of project types. 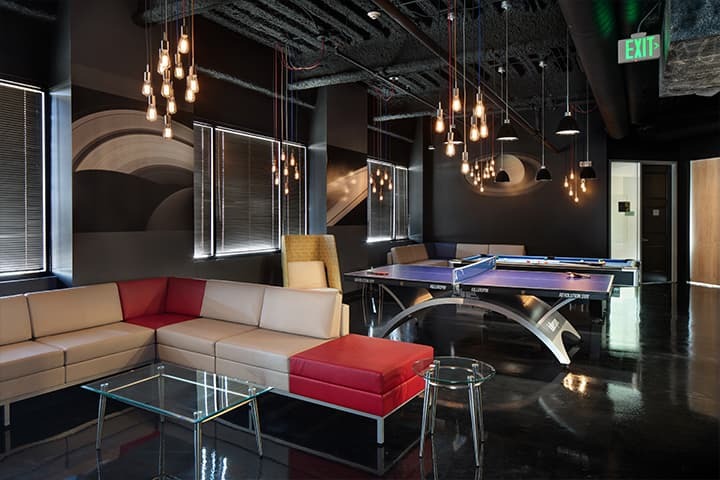 Our California team focuses primarily on high-end corporate interiors and mission critical construction.